In view of the recent tragic events we could all benefit from a check of our fire protection systems whatever type of property we reside in whether it is a house or a managed apartment block. Whilst not common in most domestic dwellings the item of most importance is a smoke detector. Statistics show you are twice as likely to die in a house fire that has no smoke alarm than a house that does. Installing a smoke alarm could help save your home and the lives of you and your family. 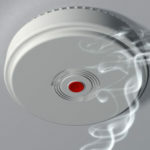 Smoke alarms are self-contained devices that incorporate a means of detecting a fire (smoke detector) and giving a warning (alarm), usually a very loud beeping sound. They are about the size of a hand and are normally fitted to the ceiling. They can detect fires in their early stages and give you those precious minutes to enable you and your family to leave your house in safety. These can be purchased for as little as £3.95. • Vacuum it using a soft brush attachment to remove dust from the sensors. • Test your smoke alarm each year. It is recommended by The Fire and Rescue Service that this is done when putting up the Christmas tree, in addition to this being a memorable day it is when extra flammable materials, decorative lights and tea lights and candles are being brought into the home. • Once a year change the battery (unless it’s a ten-year alarm). • After 10 years it’s best to get a whole new alarm. If you live in an apartment block familiarise yourself with the location of fire extinguishers and the fire policy of that particular building be it an evacuation procedure and fire escape route or a “stay put” policy. This applies also to any building you visit or in Hotels you will find this information on back of your room door. It is also important to be aware of the condition of all electrical appliances you operate. • Check your sockets regularly – if you see burn marks or they feel hot, get a registered electrician to check them. • Regularly check flexible cables on kettles and other similar appliances – look for signs of fraying cable, general wear and tear or a loose plug. Do this before you plug anything in. If you have any doubt have your appliances PAT tested by a qualified Electrician. • Don’t overload adaptors or sockets. • Also in communal areas only deposit rubbish in designated refuge bins for safe disposal as this creates a fire hazard. 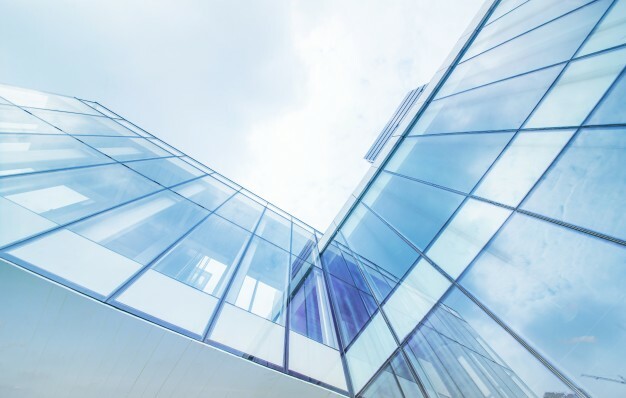 Automatic sprinkler systems are used more than any other fixed fire protection system and over 40 million sprinklers are fitted worldwide every year. 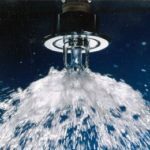 Sprinkler systems have been in use for over 100 years. Possibly the oldest here in the UK was fitted in 1812 at the Theatre Royal Drury Lane and in an updated form is still in use today. Sprinkler systems can be fitted during new build projects and Walton & Allen have retro fitted sprinkler systems during the refurbishment some Victorian houses on Mansfield Road, Nottingham. 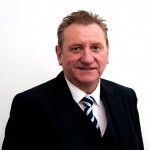 This was at a cost of approximately of £3,000 per property. This was a Building Control requirement as there are 2 or more floors more than 4.5 metres above ground level. We at Walton & Allen test our fire alarm systems weekly and emergency lighting monthly in all our blocks to ensure correct performance. In addition a fixed wiring test (periodic inspection) is carried out at all of our buildings every 5 years as this is a legal requirement. Finally, call the Fire and Rescue Service immediately if you smell burning that cannot be explained. They will have equipment such as thermal imaging cameras that will accurately detect objects that are overheating. Many local Fire and Rescue Services will come to your home and carry out a Home Fire Risk Check to help keep you and your family safe. For more information on fire safety, visit www.direct.gov.uk/firekills, or contact your local Fire and Rescue Service (not 999).